Voting for the US presidency is just weeks away, and even with the constant din of media and social-media coverage on Donald Trump and Hillary Clinton, millions of eligible voters will fail to cast a ballot. The reasons for low voter turnout are complex, including enfranchisement laws, the day of the week used for elections, and the voting mechanism itself. 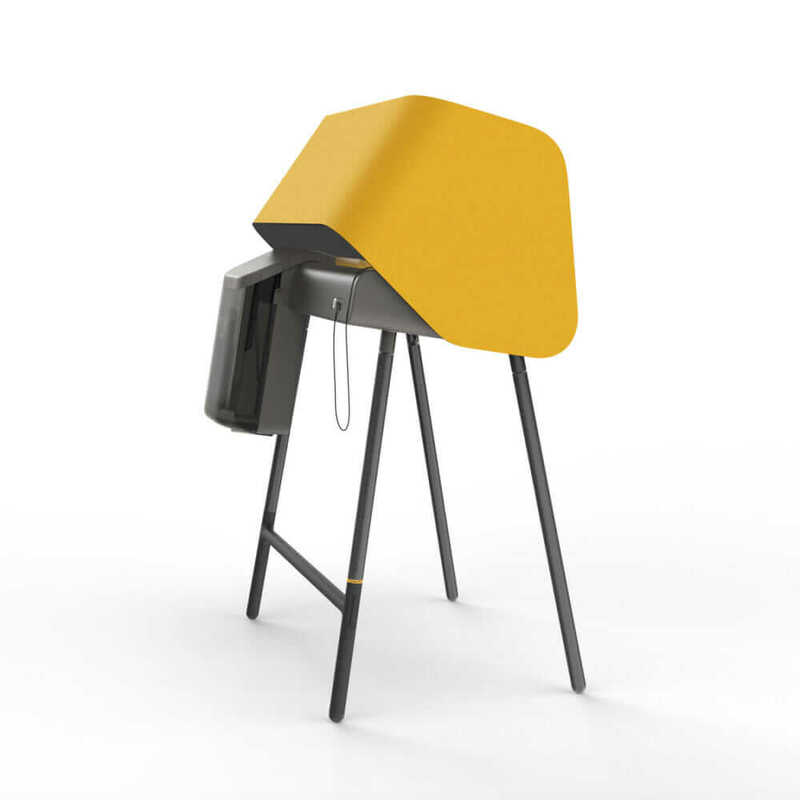 Thankfully, there’s a lot to learn from a voting-machine design project in Los Angeles. When IDEO engineer Albert Leung joined the team working with Los Angeles County on the Voting Systems Assessment Project, he quickly learned it wouldn’t be a straightforward process. 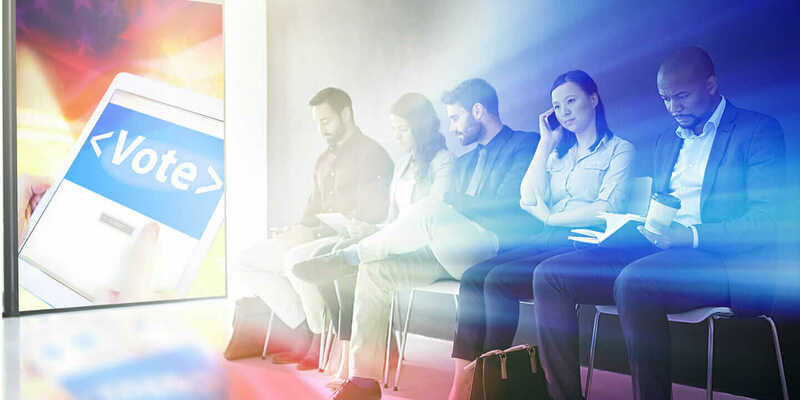 Given the diversity of the county, which has 4.3 million registered voters, IDEO decided to frame this challenge as designing a better holistic voting experience rather than just the development of a new voting machine. “If we can lessen complexity and remove difficulty from the voting experience, then we can make voting more appealing and help get more people to the polls,” Leung says. For many people, the ability to vote online would be a huge improvement to the process. However, there are serious security issues that need to be resolved to make that happen. “Many people do not realize that many states, such as California, require a paper ballot for verification and security,” Leung says. With these constraints, IDEO was tasked with designing a completely new voting system that could meet the tough security requirements laid down by the state of California. There has been an increasing movement for voting by mail than in the past, according to Pamela Smith, president at Verified Voting. In the primary elections in 2012, the voter turnout rate was 21.9 percent of all registered voters in L.A. County. In 2008, a mere 20 percent voted. Learn more about IDEO’s vision. Because hacking an election is a huge concern, IDEO designed mitigations for hacking throughout the voting system. A voter-verified paper ballot is the ultimate mitigation to ensure that election results match voter intent. 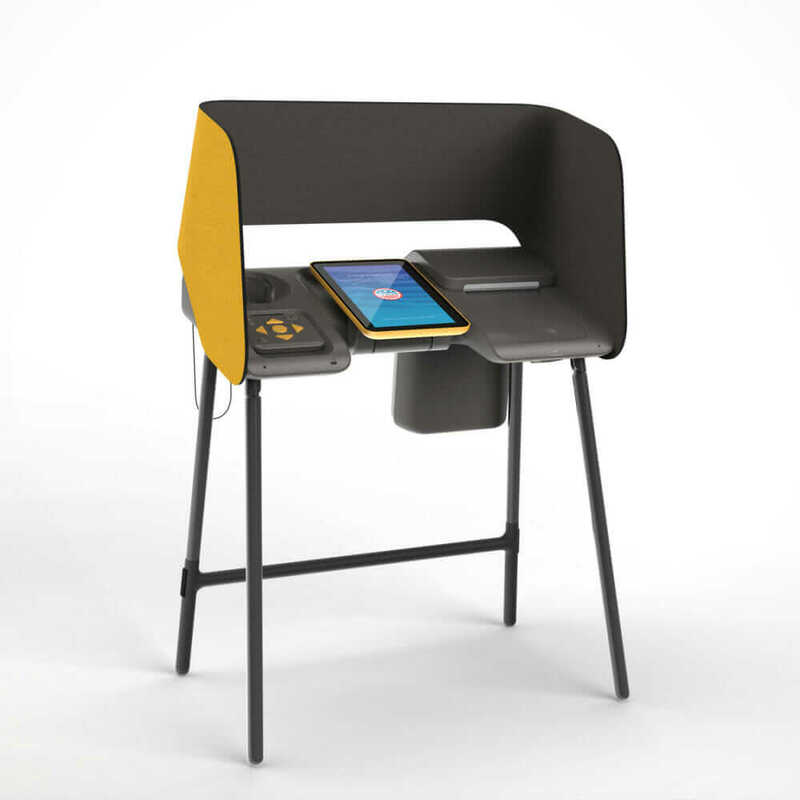 To incorporate the convenience of voting online while obeying regulations, IDEO came up with the idea of allowing voters to pre-mark their selections on a website and generate a QR code that the voting machine can scan to populate their ballot. Once the ballot is completed, it would be printed for the voter to review and submit to the ballot box. Say there’s a long line at your local polling place: You could log onto the website on your phone and make your selections while waiting. When you got to the machine, you’d then just scan your QR code, review your selections, and cast your ballot. Aside from complying with election laws, IDEO strived to make the voting experience accessible and easy to use for all people. For example, a blind or visually impaired person voting with the current system has to request a stand-alone device with headphones and a manual-input device resembling an old game controller. This process takes much longer—rather than reading through the ballot, they have to listen to the audio options before making their selections. And if the voter using these devices makes a mistake, they would have to listen to the options again. The proposed voting-machine redesign offers a new audio experience and a tactile controller that’s easier to use—and on the standard voting machine. “We sought to create a system that felt inclusive and open to all people regardless of ability or disability,” Leung says. 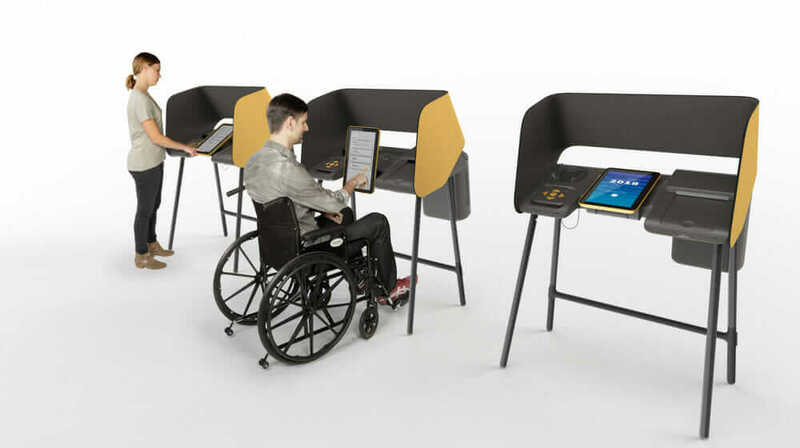 Likewise, to accommodate voters using wheelchairs, the same reimagined voting machine is designed with a generous amount of clearance on the sides and a monitor that can be tilted to an ideal height and position. The adjustability of the device prevents wheelchair users from straining themselves to use the machine. IDEO and Los Angeles County determined that dramatically improving voting would require more than a redesigned voting machine. While IDEO was focused on the development of the new voting machine, L.A. County supported a bill—Senate Bill 450, which passed last month—to create new vote centers. The new digital voting machines make it possible for any voter in the county to vote at any vote center. L.A. County hopes to roll out the new machines by 2020. It may take several more years before voting becomes a delightful experience. In the meantime, plenty is at stake in the 2016 election, and U.S. voters will have to do their best on November 8 with the systems that are currently available.